For those who like working closely with people, caring for the sick, and working in a medical environment, they would be well advised to try out for a job as a certified nursing assistant, or CNA. Working as a nursing assistant is hard work, but it is very rewarding for the closeness you develop with patients. You can easily take this experience and put it towards a career in nursing or become an entrepreneur with your own business. You can make a difference as a CNA. You might wonder what a certified nursing assistant does. Nurses aides typically work closely with patients to provide help in the activities of daily living. They are responsible for bathing and toileting patients. CNA’s can also help in walking patients that are in rehabilitation or feeding patients who cannot feed themselves. Some facilities allow certified nursing assistants to take vital signs and perform blood sugar tests for diabetics. This requires some training within your facility to ensure that you know how to perform these skills. One of the most important roles of the CNA is to be the eyes and ears for the nurse. Often, a nurse has multiple patients, and he or she cannot be with the patients all the time. Certified nursing assistants can report bad vital signs, skin breakdowns, and patient statuses. They truly are a help to the nurse because they take some of the physical burden from the nurse’s shoulders. They help the facility to run smoothly and help keep patient safe. You can take various routes to become a certified nursing assistant. One route is to go to a trade school that offers the program to learn the skills necessary to pass the state certification test. The course usually takes about 10 weeks, and you are eligible to take the test at the completion of the course. Some facilities, such as nursing homes, offer to teach you how to be a CNA on the job. They have their own course for certified nurses assistants, and you don’t have to pay for the teaching. However, you may have to sign a waiver agreeing to work for them for a specific amount of time. Another way to get your CNA is to take the first few classes of nursing school. If you are in nursing school and have taken your first class, you are likely qualified to take the exam and work as a CNA. This will give you valuable experience on your road to nursing. Becoming certified means that you have to take a state administered test to prove that you know the job. Some states only require a practical, or hands-on, testing, and some require that you take a test. Different states have different requirements about what is necessary to pass and the type of information that are tested. You can be sure that hand washing and basic patient care will figure highly in the CNA test. The bulk of CNA training is conducted in a hands-on, clinical basis. You will encounter some memorization work, such as learning the normal ranges for vital signs, but most of the teaching focuses on caring for the patient. You will learn how to properly make beds, how to assist a patient in dressing, and proper body mechanics for lifting. Most schools will also teach you how to work the lift machines that help you to move a patient without using your back. Certified nursing assistants will learn how to properly feed patients and how to care for specific types of conditions, such as bed sores. You will learn how to prevent bed sores, as well, and how to turn and position patients to decrease the incidence of wounds. Patient bathing, adaptive equipment, and communication are also stressed in most CNA classes. CNAs make more than minimum wage, but they do not quite make what a registered nurse makes. The physical nature of the job, coupled with a 10-week training program, means that CNAs are on the low end of skilled employment. However, they are a vital resource in the hospital and nursing home setting. Certified nursing assistants can expect to make $11.54 per hour on average, according to the Bureau of Labor Statistics. That translates into an average yearly CNA salary around $24,000. Of course, if you have additional training or experience, you can earn even more than this figure. The region of the country that you live in can also impact the salary you are paid as a CNA. It is best to check into the salary in your part of the country before making a decision to become a CNA. Certified nursing assistants are in great demand. In fact, experts predict this field to grow due to the aging of the Baby Boomers and the need for older CNAs to retire. You can find CNA jobs in hospitals and nursing homes. These are the most common places where nursing assistants are required because they have the most patient centered facilities. They see a great deal of patients, and those patients need someone to care for them. 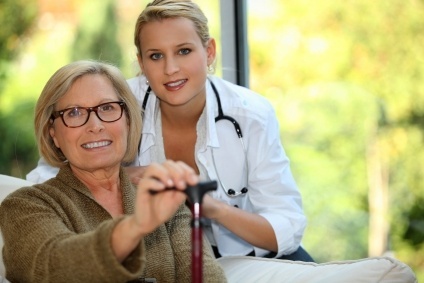 The other possibility for CNAs is to work with a home health agency. People who are home bound or need extra help during their illness may need someone to come into the home to care for them. In addition to sending nurses into the home, many agencies provide nurses aides to ill patients to care for them in their activities of daily living, such as toileting, bathing, feeding, and the like. It is even possible for CNAs to become their own boss and start a business. You can advertise your services as a care aide on sites such as Craigslist to build up a clientele. You would then charge them per hour to perform your services. Your services could range from helping them with their medical complaints to cleaning their home to acting as a companion. People are willing to pay for skilled professionals to come to their homes and provide ancillary support. You can easily make a business out of that need and work for people directly. This would cut out the agency and put more money in your pocket.